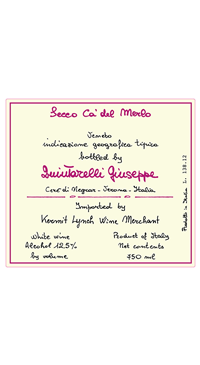 A blend of Garganega, Trebbiano Toscano, Sauvignon Blanc. Hand picked grapes are pressed immediately after harvest and soaked for 12 hours before undergoing a temperature controlled fermentation with regular battonage. Scents of peach, lime and honey with a crisp and mineral palate. A unique wine sure impress any wine connoisseur or wine geek out there.